Apple recently held its big developer conference, called WWDC, in San Francisco and unveiled an update to the operating system that runs on the Mac. Siri, the virtual assistant found on the iPhone and iPad, has made its way onto the Mac and the name has been changed to macOS from Mac OS X, a tradition that has lasted over a decade. The name change is significant because it brings the Mac in line with all of Apple's other software products, including watchOS (for the Apple Watch), iOS (for the iPad and iPhone), and tvOS (for the Apple TV). The process of bringing the Mac in line started in 2010 during the “Back to Mac” keynote which, among other things, introduced some iOS-inspired features into OS X, like the Launchpad, which displays all the apps—or, as they were known before the iPhone, programmes—in one place. Since then, however, OS X has gone through a series of updates that have refined the operating system's rougher edges but have not added much of substance. The addition of Siri changes that and signals where the Mac lineup, Apple's oldest surviving product line, is going. Reports have suggested that the MacBook Air, the cheapest version of the laptop range, is going to be quietly pushed aside. The bottom-end model—an 11-inch version—will remain, priced at around £849, but the other models will be supplanted by an update to the 12-inch MacBook and MacBook Pro. The context of this move is that the PC industry—both laptops and desktops—is in a stage of decline, with sales dropping tens of percent every year. Apple has been largely resistant to this trend—sales have gone up five percent quarter-over-quarter—but it is not a high growth business. The only category that is showing growth is the 2-in-1 market, which has been seized upon by manufactures as a way of combining a laptop and a tablet into one, usually with a detachable screen. Lenovo and Microsoft are the champions of this category, the sales of which have grown above 10 percent in recent quarters. Apple decided to get in on the action—to an extent—with the iPad Pro, taking a more tablet-centric approach but beefing it up with powerful internals, a decent keyboard, and apps that do many of the same things as the Mac counterparts. The Pro, which comes in a 10- and 13-inch version, is what is most likely responsible for the fall of the MacBook Air. Browsing the Web, lightly editing documents or photos, and watching Netflix are things the Air is good at, but the Pro does them better in a more exciting format. This means that the iPad Pro is now, effectively, Apple's low-end laptop. This leaves the 12-inch model, which recently received an internal upgrade and new colour, in an odd spot. The best way to understand what Apple is doing here is to look at the Air back in 2008 and then again in 2010. The technology inside the laptop was, by and large, way behind its competitors in 2008 but advancements meant it caught up, expanding its functionality and making it a better laptop for a greater number of people. The 12-inch model is at the same stage of its existence and will, over the next few years, grow into a more powerful, fully-fledged machine. The MacBook Pro is the only computer that will remain exactly as it is. 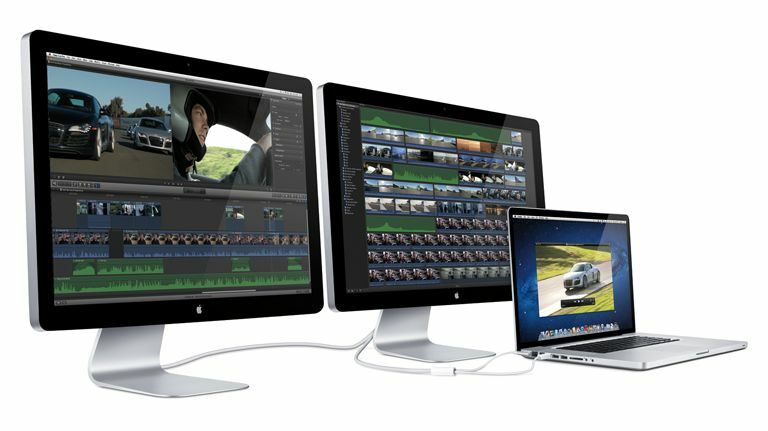 The addition of a “light bar” has been hinted at by sources within Apple and code within macOS, but this doesn't change its standing as the high-end professional device it currently is. Anyone who wants to do the things a desktop can do but on-the-go will buy the MacBook Pro—especially the 15-inch model—and Apple will continue to develop it, both internally and externally, because that market is not diminished by the smartphone or current crop of tablets or 2-in-1 devices. So Apple's high-end portable device market—which, I think, is a better term than laptop considering it includes the iPad Pro—will look something like this: The 11-inch MacBook Air remains the affordable model; the 12-inch MacBook blossoms and attracts high-end Air users; the iPad Pro becomes more powerful and takes low-end Air users; and the MacBook Pro remains the choice for power users. There is overlap between these segments—especially at the bottom end—but there are plenty of specific reasons someone would choose each machine. For example, the 12-inch MacBook has only one port—a USB Type-C connector—which limits its usefulness if you want to charge it and display something via HDMI. The iPad Pro is similarly limited, which is why someone may choose the 11-inch Air. All-in-all, the updates make sense, which is important, and while 13-inch MacBook Air users are being left out in the cold to an extent, there will still be machines for them to buy when they want to upgrade. Man vs Tech: Can we really learn how to drive a racing car by playing a game?